Today is Humility Day! I emailed Kevin to wish him a happy birthday, and he replied to thank me. Good thing that Hotmail didn't screen my email this time, and of course I'll remind him about my Felico's birthday dinner closer to the date! Then I got another email saying that Christon is now engaged to Alice - okay then, people! 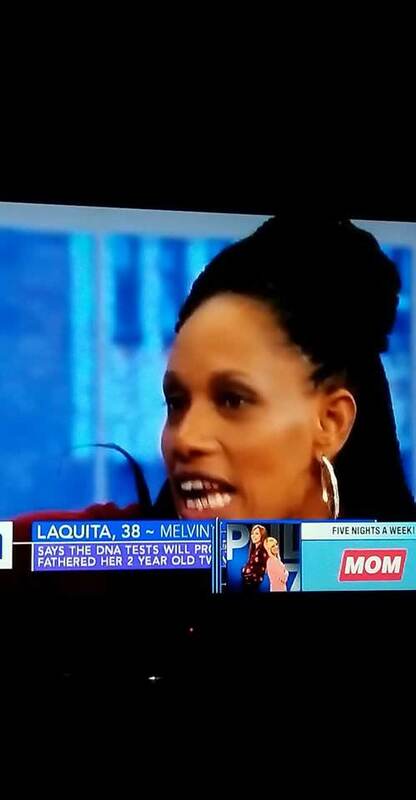 From Julie: Melvin is fine, but Laquita?! Makes me think of a mosquito or the Chiquita banana! 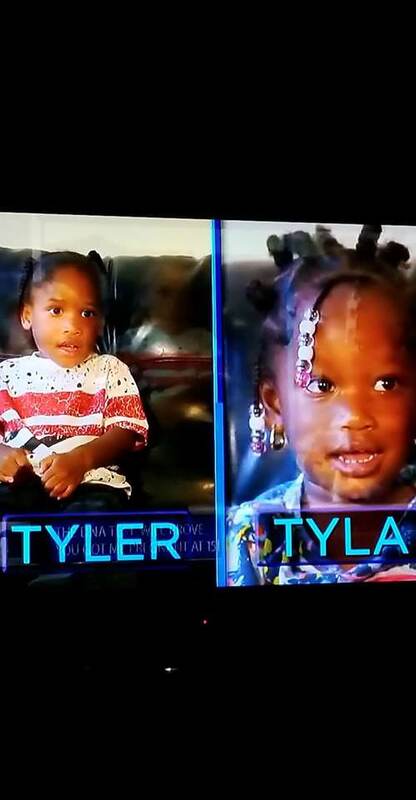 From Julie: Tyler and Tyla should NOT be twin names, ever! 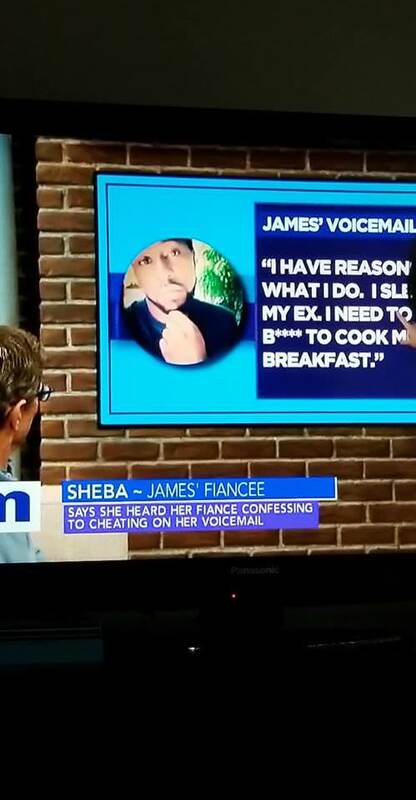 From Julie: Sheba?! Like, the queen of Sheba?! Current Music: Alexis on Fire, "Happiness by the Kilowatt"
Clutching my pearls! / Beware of Missing Foot / Narshe security checkpoint path! Since I was up at 7 AM, it was COFFEE TIME! When Uncle Andrew's dentist office called me at 10:10 to remind me of my upcoming dentist appointment, I decided to reschedule it to May 17. Hopefully, that will give me enough time to get my flossing done! I called Chrystal at work today at 12:20 to wish her a happy early birthday since Easter weekend is coming up and she IS busy! She definitely appreciated that! From Janina: This lady says, "Oh! My delicate, precious nerves! 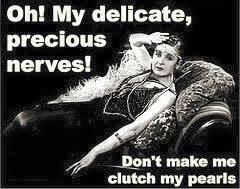 Don't make me clutch my pearls." 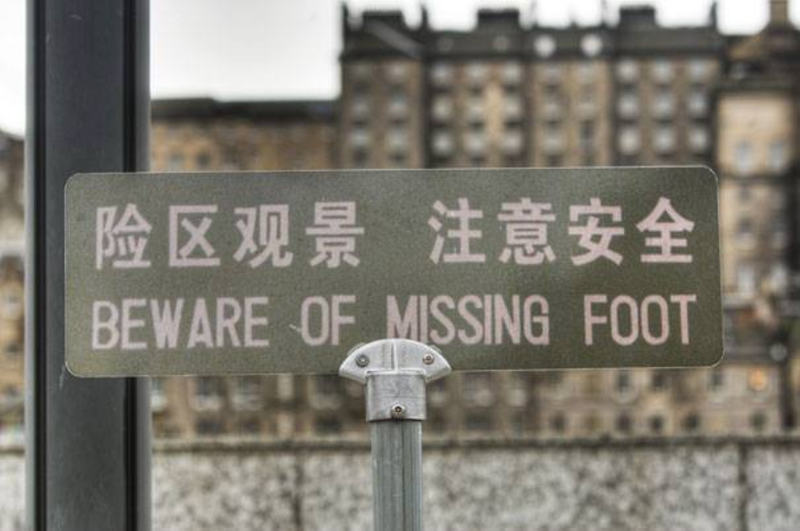 From Engrish.com and Library of Most Controversial Files: Beware of missing foot! 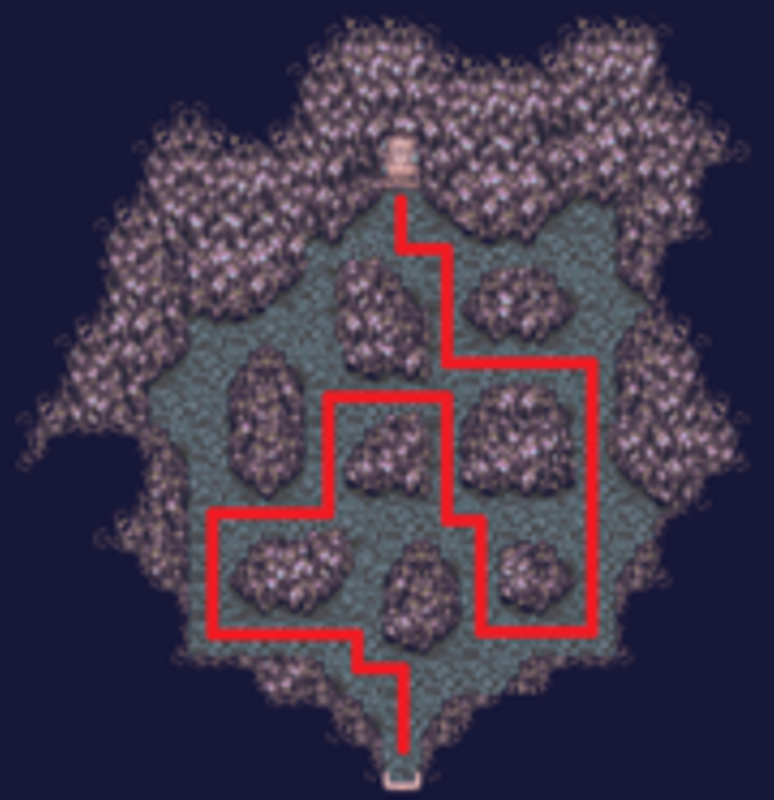 Narshe Security Checkpoint Path for FINAL FANTASY 6: Terra, Edgar, and Banon have to pass through here to get to the other side with MOOGLES!